Thanks to you we’ve raised a grand total of £13,581 through The Big Give for girls’ education in Tanzania! “My name is Mery Meitaya. I’m a Maasai lady of eighteen years old, from Soitsambu village in Tanzania. In my family we are seven people, my mother and my father, and my two younger brothers and two older brothers. I’m the third born in my family. My parents and especially my father didn’t want me to go to secondary and further education level because he wanted to exchange me for a dowry. I was rescued by PWC (African Initiatives’ partner organisation) during the time they went to do an interview for the selection of girls to be sponsored. Then they took me to Emanyata secondary school where I started my secondary education. I was in need of getting an education so I worked so hard so that I could perform better in my studies.In the last exam I became the third top student in our class. 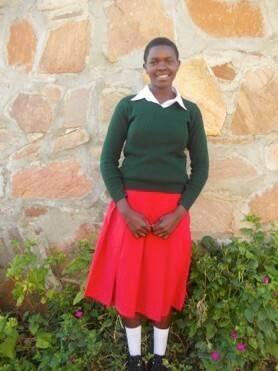 Click here to give the gift of education this Christmas and help more girls like Mery.